In addition to this West-Bond 7600B, Capovani Brothers Inc stocks a wide range of used and refurbished manual wedge bonders. Typical manufacturers include F&K Delvotec, Hybond, Kulicke & Soffa, Mech-El, Orthodyne, and West-Bond. To view our complete stock of used manual wedge bonders visit our Manual Wedge Bonders category. 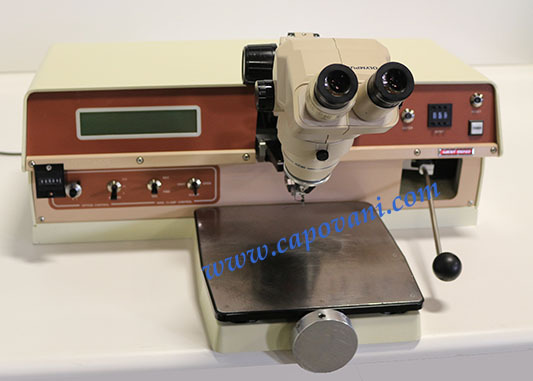 Olympus SZ3060 Microscope with SZ-STB1 Stand.